Baguio City, about 5 hours drive away from the buzzing city of Manila, is the perfect escape from the tropical heat of the rest of the Philippines. Because of its nice cold weather, pine trees, fresh strawberries, well-known tourist spots and exciting activities, many tourists flock to this destination. It is also a common family getaway place because of many family-friendly hotels in the area. #1 - Azalea Hotels and Residences: The first and newest all-suite hotel in Baguio, this hotel is also the first to offer multi-use serviced apartment rooms in the whole country. It is like staying in an apartment equipped with a spacious bedroom, bath and toilet, dining room, entertainment room, as well as a kitchen, but with the amenities and services of a 4-star hotel. Their largest suites can accommodate up to 8 persons and it comes at a very reasonable rate! #2 - Hotel Supreme Convention Plaza: Aside from its multi-faceted conference facilities, this hotel also boasts its recreational facilities making a perfect blend of business and leisure. Each of its 120 well-appointed rooms has either a magnificent view of the mountain or the city and includes an extended complimentary accommodation for children up to 12 years old and a complimentary breakfast. 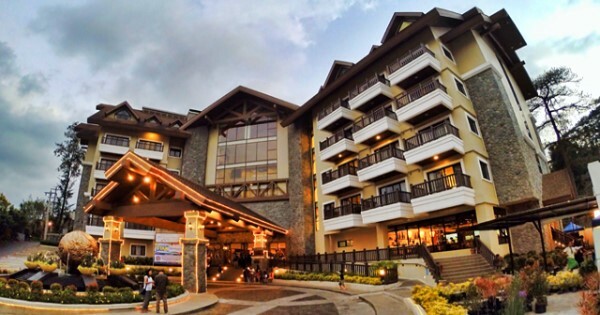 #3 - Hotel Veniz: Located right beside Burnham Park, this hotel makes the famed tourist spot very accessible for your family to experience Baguio's natural wonders as well as the "wagwagan" shops or night market across the street. There are 102 air-conditioned rooms to choose from with 16 room types that could fit your whole family and your budget. #4 - Le Monet Hotel: You and your entire family will definitely have fun even without leaving the hotel with their modern luxurious rooms with private balcony each and amenities such as heated indoor swimming pool, spa, and a fitness center. Outside the hotel, the horseback riding and paintball areas are just around the corner as it is located in the pine-tree filled Camp John Hay. #5 - Safari Lodge Hotel: Feel at home in this lodge hotel with a very cozy ambiance away from the hustle and bustle of the city and is surrounded by pine trees. It features family rooms, restaurant, coffee shop, smoking area, meeting facilities and children's playground. You can also hang by the sports bar and enjoy acoustic music or request a bonfire for your family bonding.